Matthew George Whitaker is an American lawyer and politician, who served as the Acting United States Attorney General from November 7, 2018, to February 14, 2019. He was appointed to that position by President Donald Trump after Jeff Sessions resigned at Trump's request. 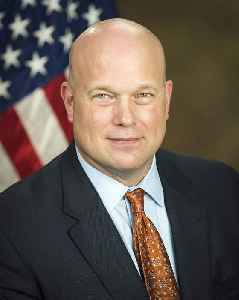 Whitaker had previously served as Chief of Staff to Sessions, from September 2017 to November 2018.